Beautiful cloisonne jewelry, with lapel style pin. 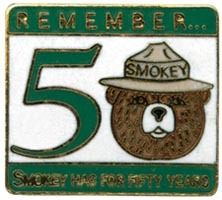 A great collector's item from Smokey's 50th anniversary. Supply limited.